So you want to know how to start a podcast? Great stuff! Our ‘Why’, here at The Podcast Host is, “To Spread Life-Changing Audio Programmes.” So, we’re here to show you every step along the way. In this article we’re going to walk you through every stage of launching your show, from planning to publishing. By the end, you’ll know exactly how to make a podcast, and be in a position to start right away! Plan your podcast, from listener, to problem, to unique solution. 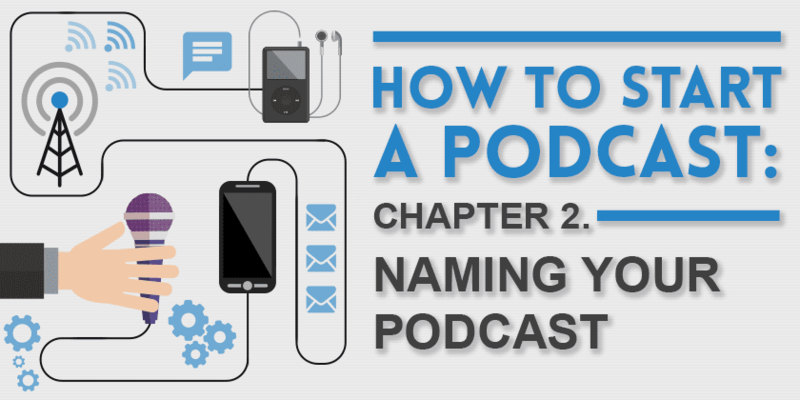 Name your podcast – and don’t take long to do it! Plan initial episodes to get a feel for your topic and its longevity. Choose a format which balances quality and sustainability. Choose your equipment and use it to record a show. Publish your podcast to iTunes and elsewhere. Think about next steps, promotion to monetisation. There are 8 chapters here, and a number of steps in each, so read on for the full details. We really hope this guide gives you the skills and the inspiration to get started, though. And, if it does, get in touch and let us know. We want to hear. Want to get an email course version of this guide, with added resources, actions and homework? Want a list of the equipment, tools & software you need? Get it here. Ok, enough procrastinating – that’s what we’re supposed to be avoiding! Let’s find out how to make your podcast. There are two big questions you need to ask yourself here, and they’re heavily related. 1. What’s Your Podcast For? So firstly, why do you want to make a podcast? Are you a freelancer? A business? Or a marketing manager? 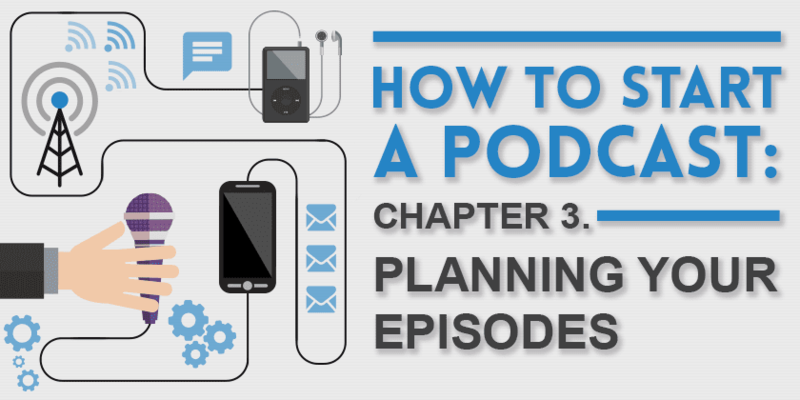 If so, you might have identified podcasting as a great way to build authority, and provide your customers and target audience with valuable and entertaining content. Or are you looking at podcasting from a hobbyist perspective? This might mean you’ll be creating a show in your spare time. And the subject will be something that you’re passionate about. In either case, you can identify your “why” here. That’s important to keep in mind, so that you can stay motivated, even when you’re finding it difficult to get a show out. Next, what about your “who”? 2. Who is Your Podcast For? So first day, get the big question in: Who are you making this podcast for? The thing is, unless you know exactly who you’re making your show for, and why you’re doing it, you’ve got no chance of growing an audience. If you’re coming at it from a business point of view, and you’re (for example) a personal trainer who wants to make a health and fitness podcast, then your target audience might be people who are interested in healthy eating, weight loss, exercise, or bodybuilding. If you’re creating a hobby show – let’s say it’s based around your love of zombies and post-apocalyptic fiction – then your target audience would simply be folks with the same passion. They might be fans of TV shows like The Walking Dead, video games like Resident Evil, books like World War Z, and films like Night of the Living Dead. That persona and those questions help you to keep your show focussed and on track, both of which make for more engaging content. So we know who you want to reach, how do you reach them? You need to give people a reason to listen. This means creating content that they will get something out of when they listen. Whether you’re providing information that will help someone to lose weight (in the case of our personal trainer), or doing a really entertaining interview with one of your favourite authors (in the case of our zombie podcaster) you’re providing value for your listener. Not only have you given them a reason to listen, you’ve given them a reason to come back for more. It’s important to think about this in the planning stages. Can you write down 10-15 potential episodes that you think your target audience would love to listen to? Need more help with planning your show to make sure it’s got the best chance to take off? We’ve got a course dedicated to designing your show inside our Podcast Host Academy, and we have live Q&As where you can talk to us about your idea. Our course will walk you through defining your audience, your topic and your format, then we can talk to you about your ideas on a live session. Get started! There’s three main camps when it comes to naming your show. You might think of a really clever name for your show. But remember that people need to be able to find it when they’re searching for information about your topic. If you have a clever/catchy name for your show, then try to also incorporate a description into the title. There’s no point putting out great content if nobody can find it. For example, one of our shows is called Path of Most Resistance. It probably falls into the ‘clever name’ category, even though we’re not that clever… So, to give a bit of description, we also use the tagline: The Uncommon Leader’s Guide. The searchable (but some might say boring) choice is to simply call your show what your target audience are searching for. If our personal trainer called her show The Fitness Podcast then there’s absolutely no doubt as to what the show is about. It’s a good idea, although possibly reduces how memorable it is, just a bit. Avoid getting too long and wordy if you go down this route. Remember you’ll need to say the podcast name quite a lot when recording your episodes, so make sure it rolls off the tongue. This is pretty much a no-no unless you’ve already got an audience. If someone started ‘The Mike Smith Show’ and it was about rock climbing, people would just think “who is Mike Smith?” and move on to the next podcast. Again, you can incorporate this into your show’s name along with something descriptive (‘Rock Climbing, with Mike Smith’). But avoid naming the show after you without any other details. Deeper Dive: What Should I Call My Podcast? After establishing what type of content you’d like to be putting out in your podcast, it’s time to think about the episodes themselves. So, when looking at how to start a podcast, what are some of the most common questions about podcast episodes? 5. How Long Should A Podcast Episode Be? Podcast length depends solely on content. Don’t cut down good content or pad out succinct work! How long does it need to be to get the message out? If you asked most podcast listeners, a “short” episode would probably be anything under 15 minutes. And a “long” episode would probably be anything over an hour. Many will reference the time of the average commute (said to be around 20 minutes) as a good length to shoot for. But anything from 20 up to 45 minutes seems to be within the “sweet spot” for an episode length. Don’t worry too much about these figures though, ultimately your episode lengths should be decided by two things. If you have 50 minutes of valuable, relevant content, why chop it down to 20? Or likewise, if you’ve said everything you have to say in 10 minutes, why pad it out to 30? In extreme cases, say you do an interview and it’s a fantastic conversation from start to finish but runs for 2 hours. You can always chop it in half and create two episodes. Over time, your listeners will tell you if they think your episodes are too short or too long. Try to survey your audience once a year to gather data like this, and you can adjust accordingly. When you get that data, of course, there’s no need to stick to the same length each time, but it’s good to have an ‘average’ so your listeners know what to expect. Finally, length can actually be a ‘unique’ factor, like we talked about on Day 3. Short and snappy 4 minute episodes could suit a certain type of listener, or huge 3 hour in-depth interviews might suit another. Think about whether length might be a deliberate unique choice for you. Deeper Dive: How Long Should My Episodes Be? 6. How Often Should I Release New Episodes? The best schedule is normally the most frequent one that you can stick to, on a regular basis. So, if you can only manage once a month, that’s fine. If you can manage every 2 weeks, even better. If you can manage weekly, then that’s great. You can still have a big impact with a fortnightly, or monthly show, but people plan their lives around what day of the week it is. It’s the routine at the forefront of our lives, and tapping into it can be powerful. That said, sticking to a deadline just for the sake of it is pointless. You’ll have a bigger impact if you put out one excellent episode a month instead of a very average episode every week. Forever is BIIIIG… Instead, let’s take it a season at a time! Season podcasting gets you off the publishing treadmill, bringing the fun back into podcasting! Starting a podcast doesn’t have to be like jumping on a treadmill, where you have to get a new episode out every week/fortnight/month. You can take a leaf out of television’s book and podcast in seasons. When you start a seasonal podcast, each season will usually have a theme. You might create episodes based around that theme or topic for 6-12 episodes, then have a break. After a month or two, you’ll launch a new season (with another theme/topic) and repeat the process. An example of a seasonal podcast is our very own Podcraft Podcast, where season 1 was all about being a beginner podcaster. Next, season 2 was about podcasting equipment, season 3 was about building a podcast website, and so on. If your content is appropriate for it, you can even turn each season into a course or an ebook further down the line, so there are many benefits to seasonal podcasting. One pitfall however is that you might lose momentum (and the interest of your audience) during your breaks. We’ve found, though, that if you prepare them for it, and explain when you’ll be back, then you combat both issues. You can’t miss your own deadline after all! Here’s a more in-depth look at how to podcast in seasons, if this is something that interests you. Just like choosing a name for your podcast, choosing good, searchable, descriptive titles for your episodes is important. The biggest mistake when it comes to naming your episodes is to call them “Episode 1”, “Episode 2”, and so on. Nobody’s going to know what to expect if they listen. The whole point of a podcast is that people listen to it, so give them a reason to click on one of your episodes. Make it clear to people what they will get from listening to your show. If you look on any podcast directory you will see shows with titles like “How To…”, “Five Tips For…” etc. These are popular because they work. You just need to make sure that you are delivering in the episode what you promised in the title. The extra benefit of this is that iTunes allows searching by episode name. So you can show up not only for the terms in your podcast title, but for the keywords in your episode names. That gives you a whole extra level of reach if you name them well. Need more help with titles, lengths and ALL the details? We’ve done solo, co-host, group, roundtable, drama, blah blah blah… We’ve also done a lot of seasons, and made it work really well for us. If you want us to coach you through, jump into the Podcast Host Academy and we and the community can help you out. Deeper Dive: How Should I Name My Episodes? The thing is, it’s similar here to your podcast length: while it’s good to have an ‘average’ format, so your listeners know what to expect, you don’t have to stick to it every time. You might be comfortable with a certain format and settle into a groove, or you might prefer a ‘mixed bag’ approach. It’s totally up to you. 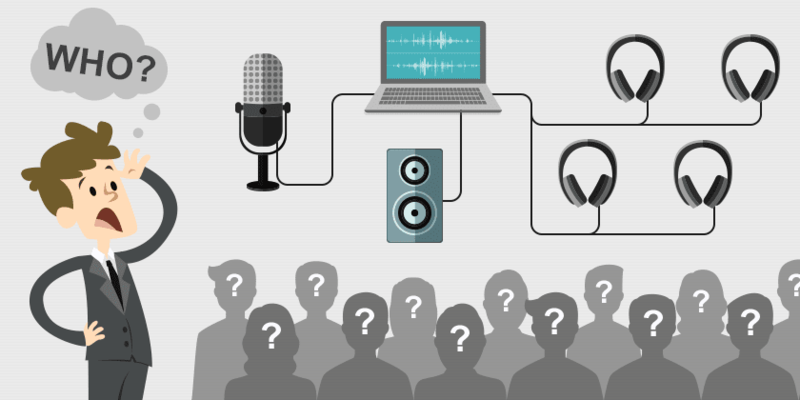 So what are the common types of podcast show formats? Also known as the monologue. Benefits: You don’t need to rely on anyone else to record your episodes, and you’re building a reputation as the authority on your subject. The podcast is also exclusively yours, so you can make calls on sponsorship and monetization. And you don’t need to split the profits with anyone. Challenges: Perhaps the most intimidating style of show for the beginner podcaster. One of the biggest challenges of the solo show is getting over the feeling that you’re ‘talking to yourself’ and realising that you’re actually talking to the listener. Presenting alongside a friend or colleague. Benefits: A great way around the ‘mic fright’ or recording alone is to chat on the show with someone else. If you find the right co-host you have someone to bounce off, debate, or even mock (don’t be too mean!). Some co-hosted podcasts have great chemistry between the presenters. This can create a great listening experience. Challenges: Not only do you need to set aside time to record, but that time must also be suitable for your co-host. There’s also the question of ownership: who’s podcast is it, do you split any future income 50/50? And what happens if your co-host loses interest or becomes unavailable in the future? ‘Borrowing’ the expertise or entertainment value of others. Benefits: Talking to your heroes. Doing an interview show gives you the opportunity to have a chat with someone you’ve always looked up to. On top of this, your guests will have their own audiences who may listen to the interview and end up subscribing to your show. If done right, you can really grow an audience this way. Challenges: Interviewing is a skill that you’ll need to hone through practice, so don’t approach the A-listers in your field straight away. You’ll need to constantly find and approach potential guests, schedule interviews, and rely on others to show up (in person or digitally). You also need to rely on technology (like Skype) to work properly throughout each call. Finally, there are a bunch of other formats that aren’t so commonly used, but might well suit you. Roundtable – One regular host and a number of guests, talking through one specific topic (eg. the Paperclipping Roundtable). Docu-Drama – A mix between drama and documentary. Offering learning and info, but in an entertaining way (eg. Hostile Worlds). 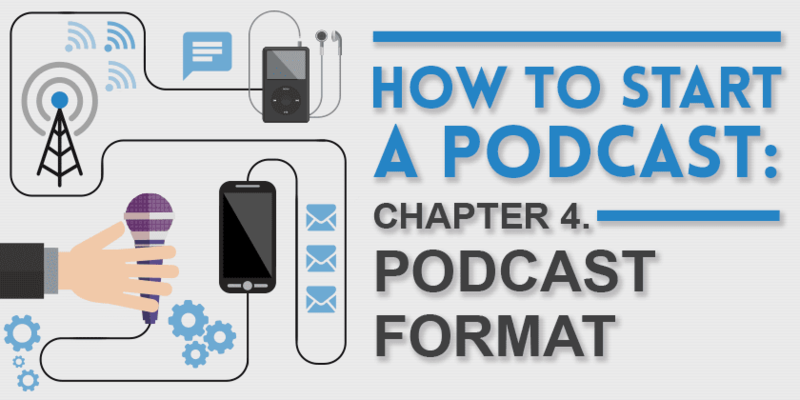 If you need more help, we’ve got a full guide to formats, including their pros, cons and how to go about it, within the launch series inside the Podcast Host Academy. So once you’ve done the groundwork and planned out your show, it’s time to get to work recording your first episode. The bare minimum you need to record a podcast is a computer with a built in microphone and access to the internet. As a general rule, though, the more limited and lower cost your setup and equipment, the more limited the sound quality of your show will be. That said, simple USB microphone setups can give great results if you choose the right mic. Plus, you are much better to get started and see whether you enjoy it before forking out big sums of money on audio equipment. With that in mind, a simple headset mic like the Senheisser PC8 can be a perfect starting point. There’s a benefit to keeping things simple in that it’s very easy to record. That means you’ll be able to keep the show regular in the early days and really give yourself a chance to build a loyal following. If you want to take a step up from there, you can look towards a better USB mic. Something like the Samson Q2U is a quality affordable mic to start out with, and comes in at only around 50 USD/GBP. If you’re planning to do a lot of in-person interviews, the Rode Smartlav+ is a great tool. Two of them, plus the SC6 splitter, makes for a really light, simple interview setup. From there, you can upgrade to an even better USB mic (like the Rode Procaster), or maybe upgrade your setup with a digital recorder (we use the Zoom H5), or even a mixer (Yamaha MG10). Be wary of complicating things too much, though. More complications means more things that can break. Remember, we’ve got a bunch of courses on equipment setup, and can help you one-to-one on how to use it, all within our Academy. When you plug your USB microphone into your computer, you will need some software to actually record and edit the audio. The good news is that this doesn’t have to cost you anything. There’s a great free programme called Audacity which will be suitable for all your podcasting needs. My personal favourite is Adobe Audition, which is available through a paid subscription. 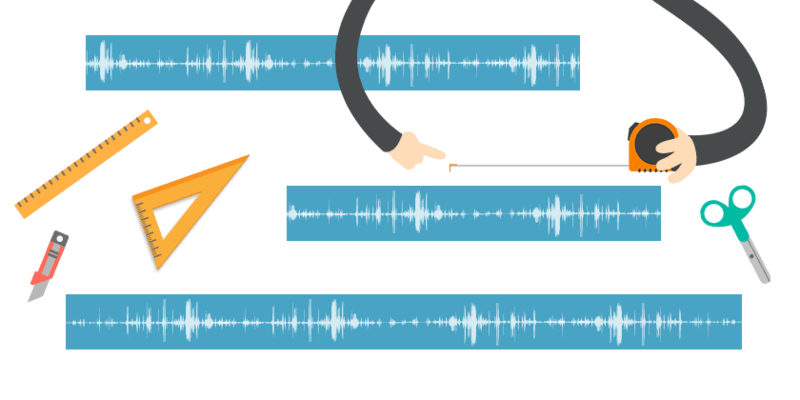 In this article I compare Adobe Audition with Audacity. In The Podcast Host Academy we have courses that teach using both Audacity and Audition. Check out Audacity Podcast Production and Getting Started with Adobe Audition for more info on those. We also have Alitu, our podcast maker software, which can automate the whole editing and publishing process. If you’re a Mac user you will probably have Garageband installed by default on your machine. This is popular audio software with podcasters too, although recent versions have really cut down the features it offers. These days, I’d recommend even Mac users getting hold of Audacity. 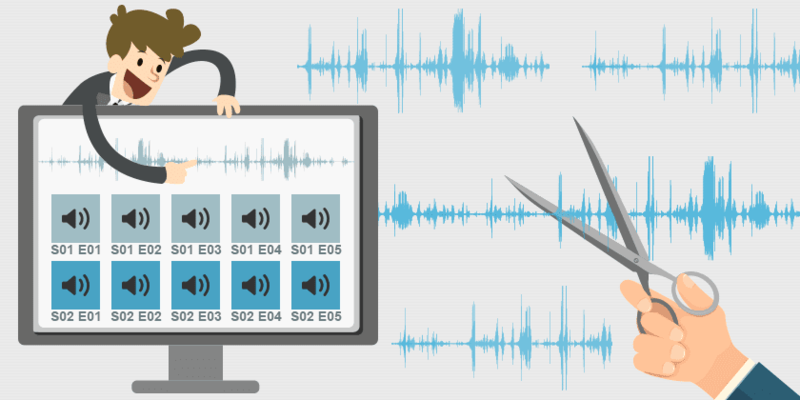 Once you’re set up with a microphone and your editing software you are ready to hit ‘Record’ – but what will you say? That’s where scripting comes in. When we talk about ‘scripting’ it’s easy to imagine an in-depth essay that’ll be read out word-for-word to become your podcast episode. That approach can work, but it’s only for really highly produced, heavily edited shows. For a start, it takes aaaaages to write, every time, so if you’re working yourself you’ll never manage it every week. The intimate nature of podcasting is far more suited to being a conversation, as opposed to a sermon. So try to wean yourself off a fully scripted show with bullet points of everything you want to cover. This will become easier over time with practice, until eventually writing a full script will seem unnecessary. We’ve talked about invisible scripting before, and that’s really what you’re aiming for. Also, the way you open and close your episodes is really important too! This is probably the most difficult thing to conquer when learning how to start a podcast. You can make this difficult for yourself by imagining that you are either “talking to yourself” or ‘talking to a microphone”. Instead, focus on talking to a single person. We talked about who your podcast is for earlier on, your listener persona. If you are a business, you may already have this persona or “avatar” sketched out. Remember, an avatar is basically your ideal customer/listener. When creating that persona, it’s up to you how much detail you put in. Some people go as far as creating jobs, hobbies, likes, dislikes, family, friends, etc. The point here is that holding a conversation with them, rather than yourself or the microphone, will sound much more natural and engaging. This means that everyone who listens feels like you are talking directly to them. And this leads to building and strengthening relationships over time. Whether you have a co-host in another country, or regular interviewees from all around the world, it isn’t difficult to record your chat with them. The most common way of doing this is to use Skype and record the call. I use Ecamm (Mac only) for this, and you can find other options in our articles on Recording Skype Calls and Recording Podcasts Online. Need more help setting up your equipment, or the techniques around recording great content? We’ve got a range of equipment courses, and can coach you through recording and presenting in our live Q&As. All in the academy! Next stop, editing! This is where you take out mistakes, stitch together different audio clips, add in music or FX and make sure it’s all sounding great with EQ, levelling, compression and more. So, you’ve already got Audacity to record with, and this is also the perfect platform for production. We’ve got a comprehensive video course inside The Podcast Host Academy designed to turn you from complete beginner to master producer. Check it out to get started. Or, if you read our Audacity Vs Adobe Audition article and opted to go with the latter option, there’s no better person to learn from that AA expert Mike Russell – you’ll find his ‘Getting Started with Adobe Audition’ course inside The Academy too. Here’s some samples of our highly-produced podcast work. What if you’ve never used editing software before? Maybe you’re concerned that you don’t have the budget to outsource your production, but also don’t have the time to learn it all. There’s no rule to say your podcast must have music, but many choose to add some at the beginning and end to add that extra layer of professionalism. Though you might see films or TV shows with 1 minute + of intro music, don’t copy this in your podcast. I’d say that you don’t want to have a piece of music on its own for any longer than 15 seconds. There are many websites that have music you can legally use on your podcast. This type of music will usually be referred to as royalty free, stock, or library music. Usually you can pay a one off fee for a song which entitles you to use it on your show, or you can now get subscriptions that give you access to a huge library. It’s possible to find free music if you search for ‘creative commons’ licensed music, but it’s often very commonly used and not the best quality. There are also varying levels of creative commons licenses. Some are very liberal, whilst others ban you from using that music for commercial purposes. Always check the source site and make sure you have permission to use a particular piece of music. Where Can I Find Podcast Music? There are a few good places to get podcast music. First, you’ve got the free option: Incompetech. This works, but since it’s one of the only free sources, the music is really common. You’ll hear it all over the place, so you definitely wont be unique. If you can budget even $10 to $30 then you can make sure you’re a lot more unique. For this we use two sources. First, Jamendo, where you can get some great royalty free music for a one-off purchase. Next, there’s Audioblocks, which is a monthly subscription service. For that subscription, you get access to over 100,000 music tracks, loops and sound effects to jazz up your show. Audioblocks let you use their music forever, so jump in for a month, download a range of tracks and try it out. If you want to really step things up there’s also Music Radio Creative who will create tailored intros and outros for your show using music and professional voice overs. Or you can ask a musical friend or band to create something for you, or to use one of their existing songs. For a deeper dive into this question, check out our post on How to Find Podcast Music. Just like your episode titles, first impressions are everything. Having attractive cover art that stands out is vital when your show lines up against thousands of others in the iTunes store. Just like music, creative commons licensing can be found in visual art too. Many podcasters use creative commons/stock images to create cover art on platforms like Canva. You can also have artwork completely custom designed by us through our cover art service, or approach an artistic or photography-loving friend to see if they will help you put something together. Ideally your cover art should be 1400 x 1400 pixels, in JPG or PNG form, and under 500kb in size. Stick to these specs and it’ll help you avoid having any issues in directories like iTunes. Your artwork will often be viewed by potential listeners in a much smaller format, so avoid cluttering it full of details that could turn it into a mess. It should be clearly readable when only around 200px wide. When it comes to getting your podcast out there for everyone to hear, you’ll need a podcast hosting account, sometimes called a Media host. 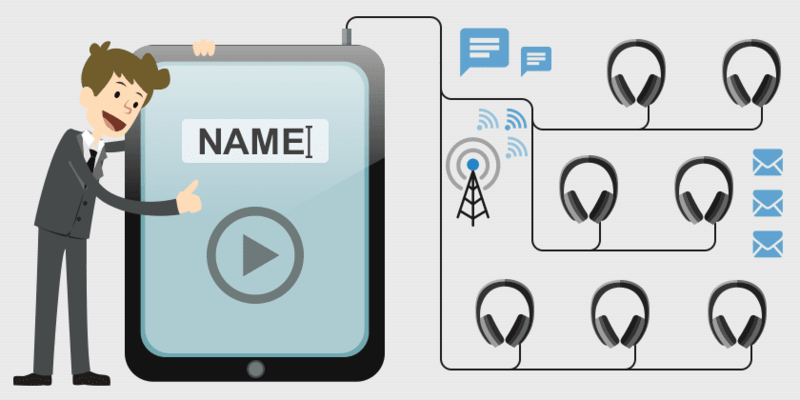 Media hosts are services that store you audio and allow your listeners to listen, download, and subscribe to your podcast. One common misconception when learning how to make a podcast is that you upload your podcast to places like iTunes. This actually isn’t the case. 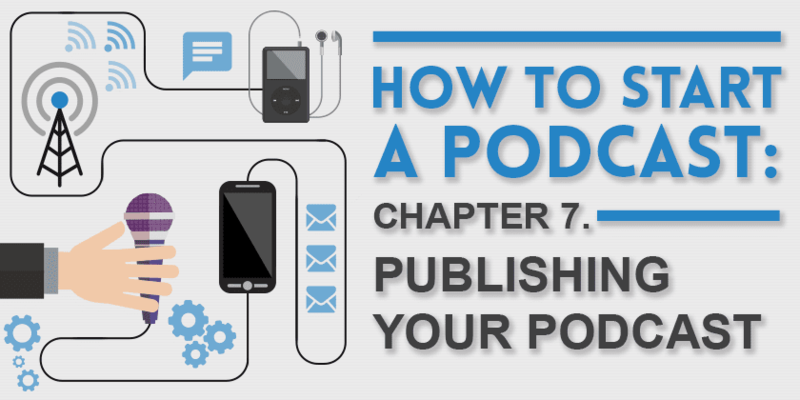 Since it’s such a common question, we covered hosting iTunes in-depth in our ‘How to Upload a Podcast‘ article. 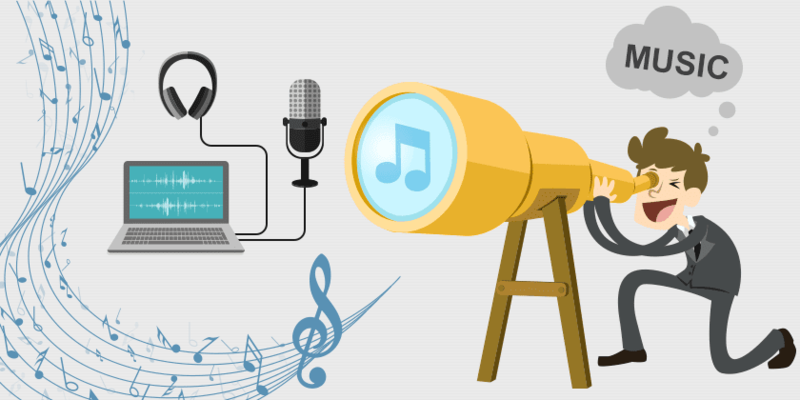 In short, though, you need to sign up with a media hosting service to host your audio files, and you can either have a website set up on their site to deliver them, or place them on your own existing website. We use a few different media hosts, and you can read what we think of them all here: The Best Podcast Hosting Services. Or, short answer, use Buzzsprout. Buzzsprout is, to us, the best balance of power, simplicity and value. It’s got a beautiful interface, super-easy setup and a great-looking player. Plus, pretty much every option you’ll ever want as a podcaster. Once you’ve created your show inside your media host of choice, you can then submit it to be listed in various directories, where listeners can discover, subscribe to, and download it. What Website do you Put your Podcast Shownotes/Player On? When you sign up for media hosting, you often get a free website with it too. If you’re running a a hobby show, this is a good option to keep things nice and easy. If you’ve already got a website for your business or your brand, then you don’t need extra web hosting – you can just set up your podcast on your main website. Check out how to install podcasting tools on your website here. Alternatively, you can set up a brand new WordPress website as a home for your podcast – it’s surprisingly easy! You’ll find a full guide to setting up a website here. Once your podcast is launched and out in the world, that’s when you’ll move on to thinking about promotion and building your listener-base. We actually have a course that can guide you on this front too. It’s called 30 Days of Audience Growth, and it gives you one actionable tip a day over the course of a month. This’ll really help you gain the visibility and authority needed to steadily increase the impact your show has within your niche! 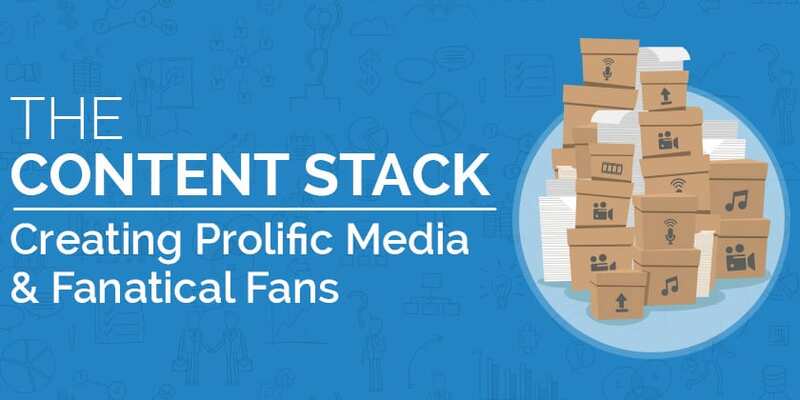 If you put the work in, stick at it, and consistently deliver great content for your audience, then you’ll eventually be in a position to think about monetising your podcast too. In the meantime though, that concludes our crash course on how to start a podcast. I’ve tried to include as many relevant links throughout the article as possible which go more in-depth on each particular topic. However, you can let me know if anything is missing or if you’d like more information by leaving a comment below. And if you’d like some more help in launching and growing your podcast, then don’t rush off just yet. We have a couple of great options available to you. The Podcast Host Academy is our membership site where you get access to all of our tutorials, downloadable guides, checklists, and ebooks. In there you’ll find courses on everything from editing to interviewing, as well as our podcast promotion course mentioned above. We’re also running regular live Q&A sessions in there at the moment too! This option is ideal for those who want to work away at their own pace, in their own time. The Podcast Launch Package is the way to work directly with us. Here we’ll spend 4 one hour sessions coaching you through the entire process of designing, planning, and launching your podcast. On top of that we’ll produce your first 4 episodes for you too. This is the ideal option for those who want tailored advice and guidance from idea to launch – as well as a premium level of production from the very first episode! We’d love to work with you there! How Do I Find Time To Podcast? Should I Start Multiple Podcasts? This is such an awesome walk thru! I’m hoping to start a podcast at some point but I use a chromebook which is pretty limited on editing tools and other things mac and PC don’t have issues with. But I bookmarked this! Super helpful, this is. Thanks for the detailing and simplicity. thank you for this. This was definitely a big help step by step. Thank you, so much. This is great and simple way to reach out my students, especially a helping those who miss out classes or don’t understand in class. You’re welcome Jon. Glad to hear it! If anyone reading this article needs someone to edit their podcast post-production, I have a Fiverr gig running where I can do just that for you. All 5* reviews so far. 10+ years of experience. If I were to look into beginning a podcast for us at http://www.21Puzzles.com, is there a recommended platform for leadership/fraud/ethics podcasts? It seems like there are tons of different hosts, but only one well travelled place in iTunes. How does that work? Have been researching how to to podcast for over a year and bought a Rode NT USB mic but bogged down by the process. Your walk-thru has been so encouraging and clear. I don’t have my own website yet. Also could you tell me if Anchor.fm is worth the hype? Thank you very much for taking the time to share your knowledge, experience and expertise in this area. This is invaluable. Thumbs up! I’d love for you to take a look and consider sharing it with your community. The app is designed to help independent podcasters build their audiences more efficiently on social media and so we’re hoping to gather feedback from as many podcasters (and people who work in podcasting) as possible. I’m happy to answer any questions you may have. Thank you! Thank you so much. I knew nothing about podcasts (other than hearing and reading the word podcast) for the past couple of years. Reading this has given me a wonderful understanding of what podcasts are. Now, I will listen to one, and feel like I have truly been pulled into the 22nd century. 3 people have told me to start my own podcast series in the last 6 months, and I just smiled and nodded my head knowingly. Next time someone says it, i can nod and actually know! Count me in as a subscriber! so, I have been doing some research now, and I feel like a podcast would be a great way to inform the people I’d like to target. However, I have no experience with hosting a podcast whatsoever. Since it’s going to be an informative podcast I’ll design it as either an interview show, or a documentary show. I don’t know what will fit most. It will be a podcast that will try to alter public opinion about cannabis. There are no podcasts doing this in my country yet, so there is a void to be filled. My main question for now is whether or not I should make an introductory ‘episode’. Should I create a short introduction of myself and what I’m trying to achieve with the podcast, or should I just jump into the deep with the first episode? Or should I maybe post such an introduction on twitter, linkedIn, or the website I’ll create for the podcast? I really appreciate the knowledge you put out there about podcasts! Thanks for the very useful article you’ve got here! When interviewing experts for your podcast, do you recommend sending them a list of questions (or them sending us –the host — a list of questions they’d like to be asked)? Reading this has given me an understanding of what podcasts are. I might start one myself!